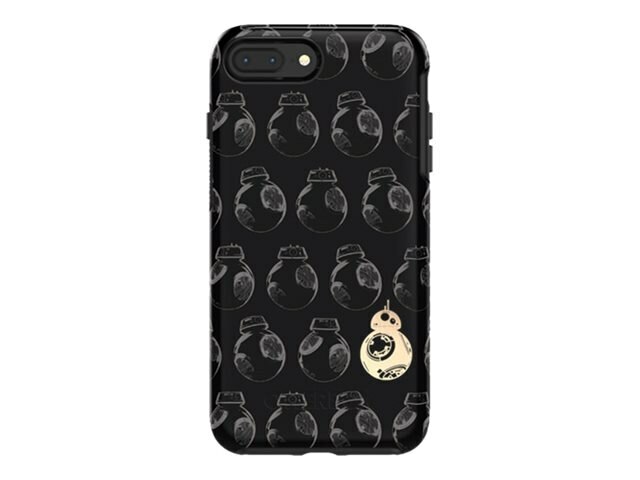 The saga continues with Symmetry Series Star Wars cases for iPhone 8 Plus and iPhone 7 Plus. This stylish case is made of two formidable materials molded together for ultimate slim-fit protection. The case is custom-shaped for a form fit and effortless install. Slide your Symmetry Series encased device in and out of your pocket with ease to quickly flash your allegiance.